Is trapping and relocating an animal a good idea? NO! ​All of us know the importance of having a roof over our heads, a warm, safe place to sleep, and food to keep us going. We spend a lot of time in our homes, making them more comfortable and more livable. We keep the pantry stocked and frown upon strangers loitering around our front doors. Guess what? Wildlife does the exact same thing! ​In order to survive, all wild animals need to find shelter, food, and a secure place to give birth and raise their young. Wildlife really wants nothing to do with humans, however, as the human population increases and expands into wildlife territory many wild areas are no longer available to wild animals. In order to survive they must find homes in and around human homes where there is usually always food available and hiding places that are kept heated during the coldest of the winter months. Offer an invitation of food or shelter to a wild animal, either intentionally or accidentally, and it will probably be readily accepted! Some species adapt so well to these new living situations that their populations can increase dramatically. Consequently, homeowners are faced with various wildlife related problems, from nuisance situations to health hazards and fires caused by rodents gnawing on electrical wires. Very stressed animals trapped in humane traps. Photo from Google Images. 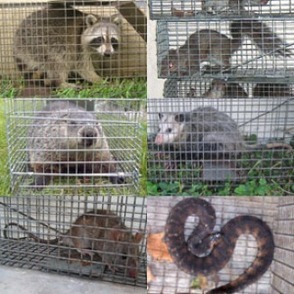 Though home repairs/modifications and tolerance are often the best solutions for both humans and animals, most humans’ initial reaction is to trap the wild animals, sometimes inhumanely, and kill them or relocate them miles away; humans label wildlife pests and worry about disease and damage to their property. But will trapping and relocating solve the problem? In fact, trapping and relocating is rarely a long-term solution and can actually cause the spread of wildlife diseases and certainly cause a lot of animal suffering. With a little education there are much better solutions available if you are having conflicts with wild animals in and around your home. ​To begin with, it is important to know that wildlife will not willingly threaten or try to harm people or their property. As mentioned previously, animals are looking for food and shelter, a safe place to live and to raise their young. Trapping wildlife does not address the problem of the availability of food and shelter, and therefore trapping is not an effective method of wildlife control. The vacated niche left empty by trapping an animal is quickly filled by another animal, or the original resident may return as many animals have strong homing instincts: a male raccoon can travel as much as 5–10 miles each night, and bats routinely travel hundreds of miles to their hibernacula. 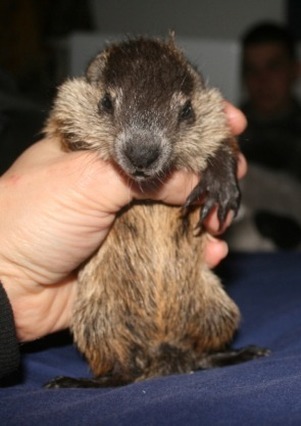 Orphaned groundhog due to trapping & relocating. While many people think that live-trapping animals and taking them “to the woods” where they will live happily ever after is an ideal solution for all involved, this isn’t actually what happens. More than 70% of relocated animals die soon after relocation due to stress, starvation, dehydration and aggression of resident animals. Trapping wildlife, transporting it off your property, and releasing it elsewhere is also illegal in many states, New York included. Relocating an animal may not only give someone else a nuisance problem, but spreads diseases, such as rabies and distemper, Lyme disease and West Nile virus. Handling wildlife may also put you at risk for disease. If an animal must be removed, make sure you call a qualified nuisance wildlife controller. Qualified individuals know how to handle the animals. Find a company or individual dedicated to wildlife removal (i.e., who don’t just do it “part time” or as an “add on service”) with at least 3 years experience. Ask about their methods of catching a nuisance animal. You want to find someone who uses humane animal removal strategies involving one-way doors or “hands-on” removal, and companies should not trap and relocate animals as a rule. A good nuisance animal controller should also offer preventative long-term solutions that solve wildlife problems at their source: blocking the entry sites into your home, working out ways to deter re-entry (such as the use of biodegradable deodorizers), and preventing animal damage (via animal proofing and habitat modification). Repairs on the entire serviced area (not just the entry holes) should be guaranteed. Professional wildlife controllers can help humanely catch the animal and any babies, so that wildlife families are kept together. Always presume that young are present and make sure that families are reunited before releasing the animals (this is the 3R approach: Removal, Reunion, Release). What does The Wild Times think of all this? We think that if an animal is not causing damage or harm they should be left alone. Many species of wildlife will perform free rodent and insect control for people. Being tolerant of species like raptors, fox, coyotes, skunks and snakes can help restore a predator-prey balance and minimize human-wildlife conflicts. You can even build artificial raptor perches to encourage these hunters to hunt near your homes. Consider offering wildlife more habitats on your property so that they will have places other than your house to live. As one source notes, “Lawn maintenance requires phenomenal amounts of water, fertilizer, herbicides, and pesticides that have known toxic effects on birds and other animals, not to mention the environmental effects of runoff. Every acre of these landscapes, of course, could be an acre of forest or other habitat with much greater value to both wildlife and people.” (Wild Neighbors, pg.141). If an animal must be removed, humane eviction strategies are by far the more ethical and biologically appropriate approach. Animals should NOT be removed from their home range; on-site release is the preferred means of conflict resolution. By releasing wild animals close to where they were caught they are able to go to another den nearby and still have their food source (animals often have multiple den sites). Releasing onsite also keeps the natural balance of the environment, which is naturally in sync and has a balance of native predators and prey that keep diseases in check. And remember if you relocate an animal far away, another one will just move in and take the empty space, or the resident may return putting itself at risk by traveling through unfamiliar territory as they try to return to their original home range. Investigations made by The Wild Times has discovered that there is a tendency to adopt a band-aid approach to wildlife intrusion problems, often dealing only with the existing problem and neglecting potential problem areas. This does not end up solving the problem, but is more costly in the long-run, and will certainly cause more animal suffering. Preventive measures have proven to be less costly and less stressful for both wildlife and the homeowner. 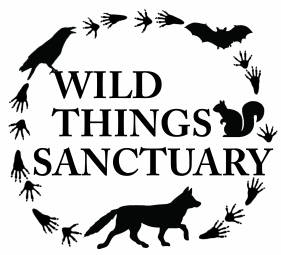 To learn about long-term solutions that solve wildlife problems at their source, take a look at Wild Things Sanctuary’s webpage Living with Wildlife where you will find reprints of some great fact sheets for coexisting with various forms of wildlife, as well as ideas for preventing human-wildlife conflicts, and tips for keeping your house secure from uninvited wild animals.